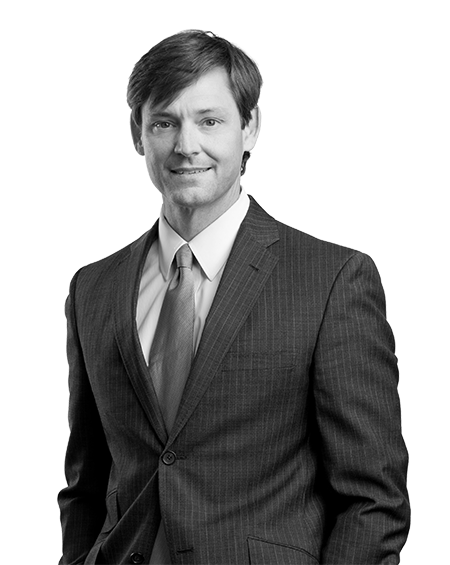 Trip has served as Vice President of Legal and Legislative Affairs for the Birmingham Society for Human Resource Management. He has been involved in Boy Scouts at the Council and Troop levels. Leadership Council of Boys and Girls Clubs of Central Alabama. Won a jury verdict for a trucking company against a former truck driver’s claim that the company fired him because of his race and in retaliation for his complaints about his co-workers’ racial slurs. Obtained numerous summary judgments for employers on claims of discrimination, retaliation, and state tort law. Enforced an employer’s non-compete agreement with a former employee by obtaining a jury verdict awarding the employer lost profits and rejecting the employee’s claim of interference with his new employment. Defended an employer and its employee against non-compete claims. Advised clients on strategies to respond to union activity. Represented employers in union elections. Member of the trial team representing a national retail store chain in the two-week trial of a nationwide collective action under the Fair Labor Standards Act challenging the exempt status of store managers. This case is one of the few of its type in the country to have been tried to a jury. Investigated complaints of sexual harassment and workplace violence. Counseled clients through hundreds of job termination decisions. Developed an equal employment opportunity training program to be viewed by supervisors and employees on the company’s intranet. Defended a real estate management company and a city against claims brought under the Americans With Disabilities Act alleging that facilities are not accessible to wheelchair-bound citizens. Defended companies and individuals against citations issued by the Mine Safety and Health Administration. Defended employers against unfair labor practice charges alleging violations of the National Labor Relations Act. Counseled a client through a threat of violence from a terminated employee. Served as both a mediator and an arbitrator. Risk Management – Resident Care & Employment Issues, Crowne Health Care Leadership Conference, Orange Beach, AL, October 18, 2018. How Does the #MeToo Movement Affect Long Term Care Employers, Alabama Nursing Home Association Annual Meeting, Birmingham, AL, June 25, 2018. What Do You Want to Know About Social Media?, Alabama City County Management Association, Birmingham, AL, January 26, 2017. Overtime Rule: What You Need to Know, Sponsored Seminar, Birmingham, AL, June 28, 2016. * The Ins and Outs of the New Overtime Rules and How to Prepare for the New Law, Sponsored Seminar, Birmingham, AL, June 16, 2016. The Ins and Outs of the New Overtime Rules and How to Prepare for the New Law, Sponsored Seminar, Birmingham, AL, June 16, 2016. Every Day Decisions That May Affect The Outcome of Litigation, Labor & Employment Disputes, And Your Surveys, 2015 Alabama Nursing Home Association Mid-Year Convention, Orange Beach, FL, April 27-28, 2015. Thinking Outside The Box: A Global Perspective to Risk Management, 2015 Alabama Nursing Home Association Legal Compliance Seminar, Birmingham, AL, January 12, 2015. Employment Law and Litigation: The Cost of Being Unprepared, Alabama Trucking Association Safety and Maintenance Management Council, Mobile, AL, February 6, 2014.